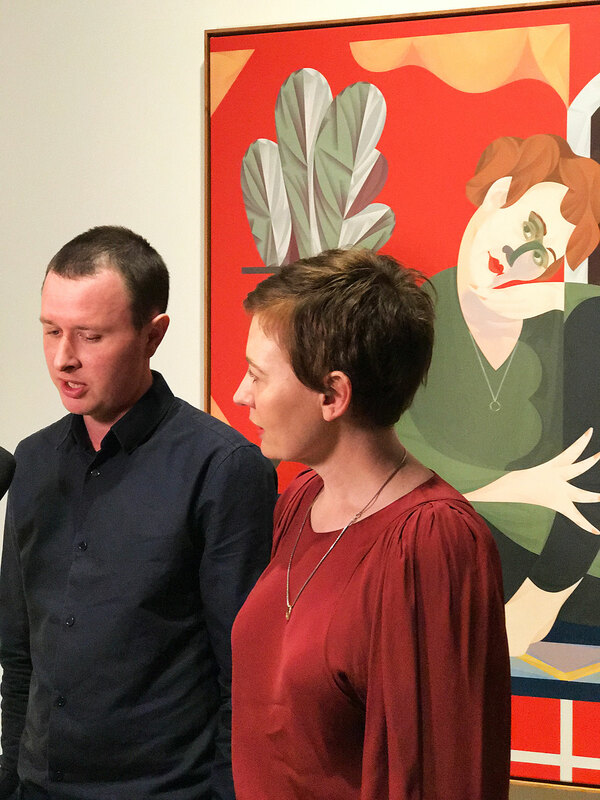 Like many of his fellow 42 finalists shortlisted for this year’s Archibald Prize, Mitch Cairns did not think he was going to win. Two hours after the announcement of the prize and the artist, soft spoken in person, is still visibly shellshocked by the announcement and the ensuing onslaught of interviews, high wattage flashbulbs and imposing recording devices it has provoked. “It feels strange, as you might expect. It was a shock,” says Cairns. This is the artist’s fourth time as a finalist in what is arguably the country’s most widely known – and perhaps the most divisive – art prize. Past subjects have included the philanthropist Reg Richardson in 2014 and the painter Peter Powditch the following year, but it was a portrait of his wife, the widely-acclaimed and exhibited Australian artist Agatha Gothe-Snape, that would finally bestow that elusive honour on Cairns, 33 (who also submitted a self-portrait in 2013 as his first entry into the Prize). 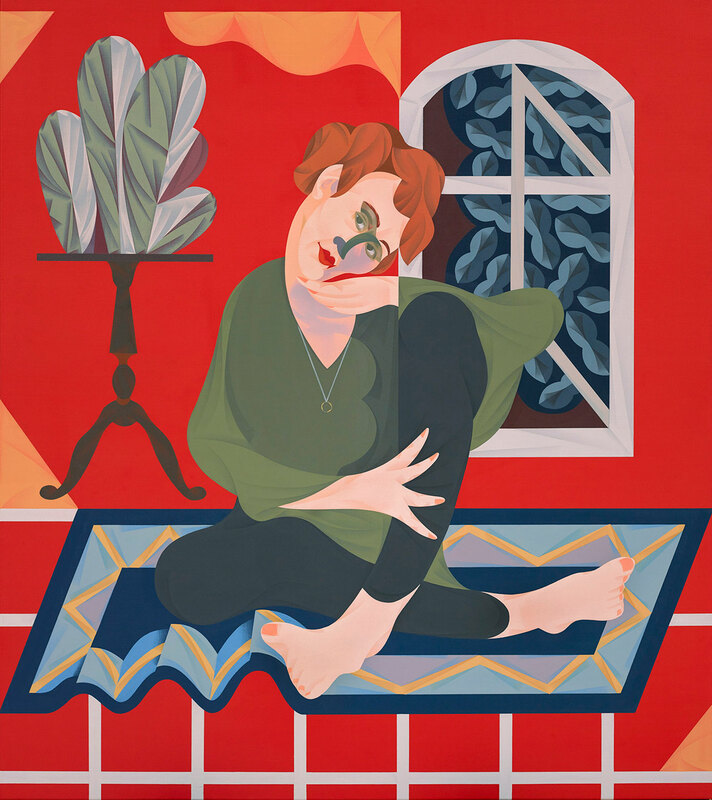 This year’s Archibald Prize elicited 822 entries, from which 43 finalist portraits were shortlisted by the Art Gallery of New South Wales’s Board of Trustees. Of the 43 portraits admitted as finalists, close to half featured artists as sitters. Well-known faces included amongst those hung as part of the prize include John Bell (who appears in two separate works), Lisa Wilkinson (whose portrait received this year’s Packing Room Prize), Vincent Namatjira (grandson of Albert) and the art dealer Ray Hughes. The Brisbane-based artist Jun Chen’s portrait of the latter was a highly-commended runner-up for the prize, with the jury conceding that as recently as this morning the decision was split between Cairns and Chen’s portraits. Regardless, Board president David Gonski preceded the announcement of today’s winner by declaring that, overall, the judging process was a harmonious one. “There were many great Archibald contenders this year, but it was the skill and sensitivity of Mitch’s portrait which left a significant impression on us all,” Gonski said. Cairns’s portrait is, in many ways, a radical departure in both style and sentiment from many of his contemporaries. Gothe-Snape never actually sat for her partner’s portrait, like the subjects of many portraits in the prize customarily did; instead, Cairns settled on his final composition through creating a composite of “lots of sketches and lose leaf [studies] made over a period of time.” Cairns recalls that the pose was open for a long time before he settled on one that somehow manages to be both effortless yet slightly contorted – her legs crossed, head turned to face outward into the middle distance, a rug (and not a yoga mat) giving way underneath. “If anyone tried to get into that pose, it’s pretty difficult. She looks comfortable though. There’s a sort of softness in the gaze. There is an awkwardness to the pose so the fact that she’s grounded and is able to sit and not necessarily speak to the difficulty of the sitting was one of the harder bits to work out. And while the portrait is wholly domestic in setting and subject matter, Cairns is quick to point out that it’s not entirely rooted in realism and a faithful depiction of their life at home. The abstraction of pose and paint alike carries through to its composition: their Balmain home of three years boasts no red feature wall – “there is lots of red carpet”, however – and the remaining objects within the frame are drawn from various rooms in the house that they share with their two-year-old son. Over a period of “three or four months” at the outset of the year, Cairns says he completed the portrait in his Alexandria studio, which so happens to be in the same building as a self-storage business that Richardson, his former subject, operates. In the remaining two categories, the artist Betty Kuntiwa Pumani from Antara in South Australia was announced as the winner of the 2017 Wynne Prize in honour of the year’s best landscape painting for her stunning work Antara. The artist Joan Ross was also declared the winner of the 2017 Sulman Prize for her mixed media genre piece, Oh history, you lied to me – a graphic redress of the ongoing effects of colonisation. The Archibald, Wynne and Sulman Prize opens tomorrow at the Art Gallery of New South Wales and will exhibit until October 22, 2017. Entry is free. You can find out more information here.